I lived in Hadleigh from 1947 to 1953 and attended Southend High School for Boys. I was also a member of the ATC and attended weekly meetings etc at Tarpots Hall. 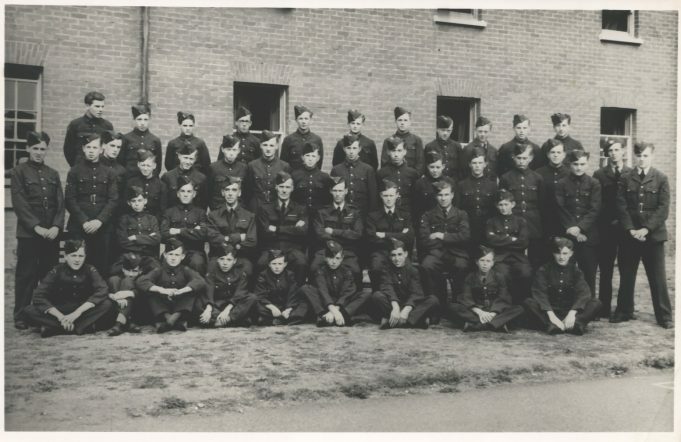 Just thought you might be interested in the attached photo which is of 1952-53 members. I am in the back row on RH Side end. Some members later joined the RAF, Bryan Wheal was a Hawker Hunter fighter pilot and later a Methodist minister, before dying in a car accident. Now I live in USA-NJ at 81 years of age.